Small artificial front lawn fitted, then two large rear sections of artificial lawn. 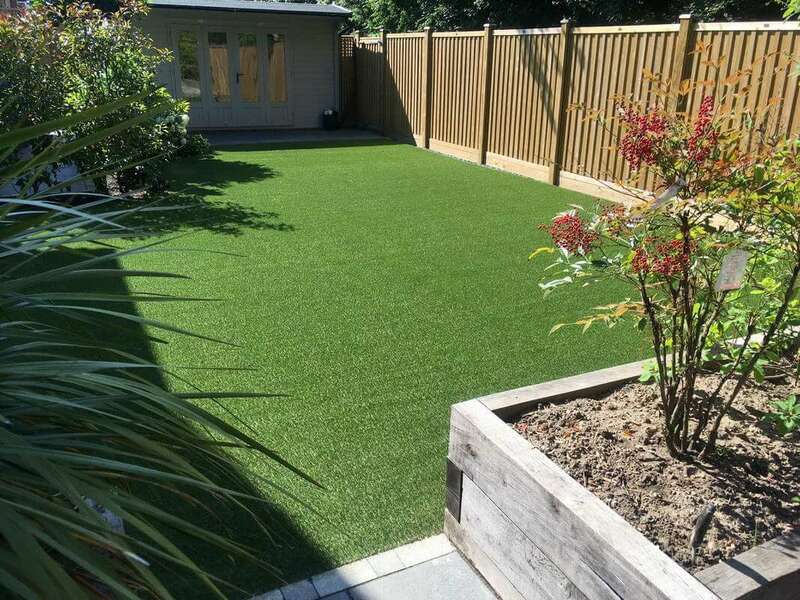 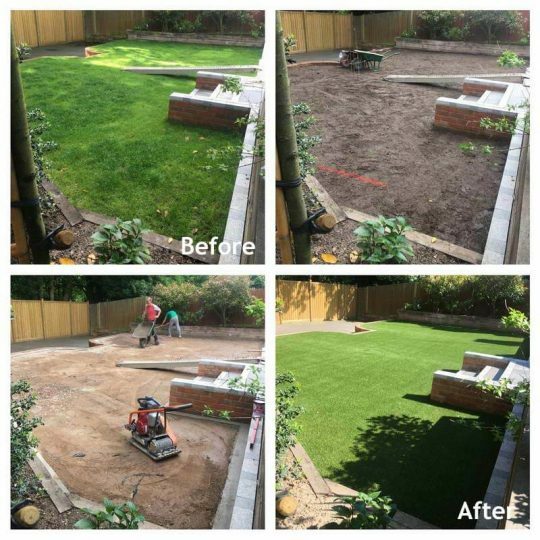 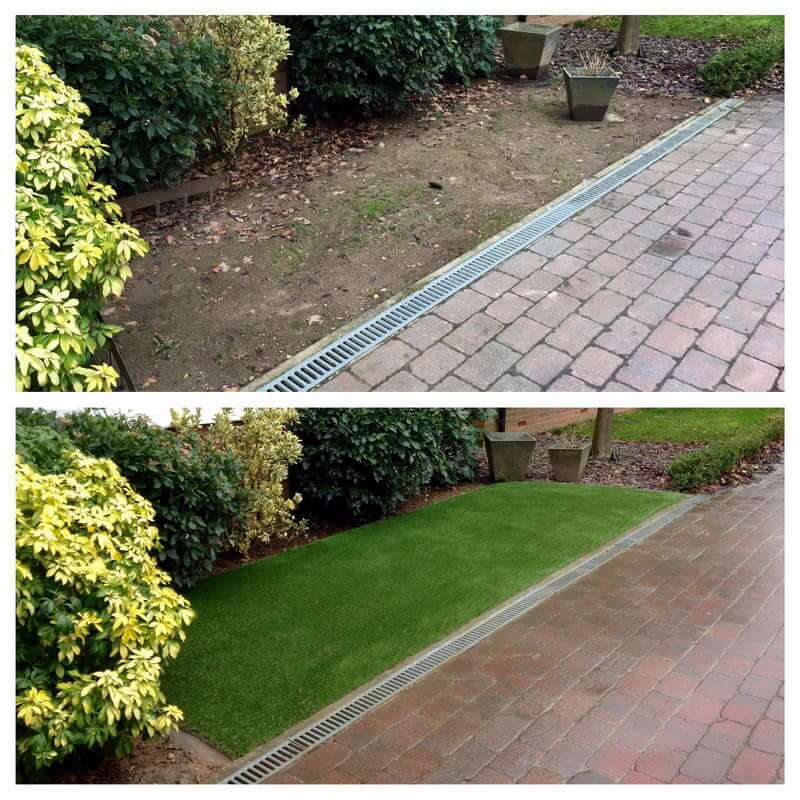 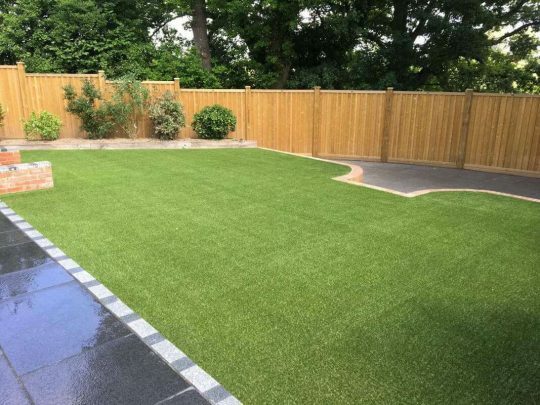 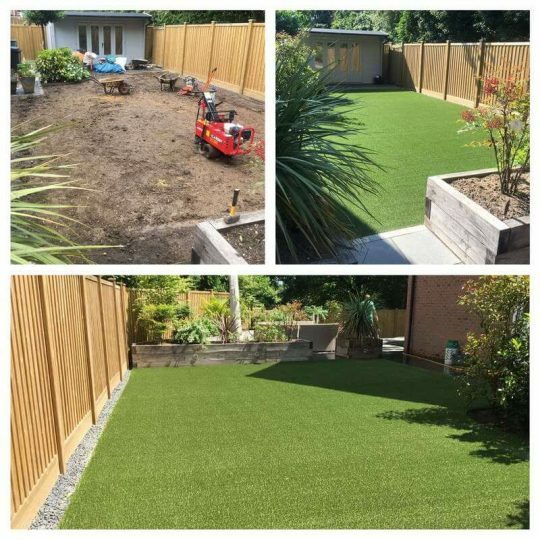 We first visited our client in February to fit a small Namgrass Enigma front lawn with filcris plastic edging on one side. 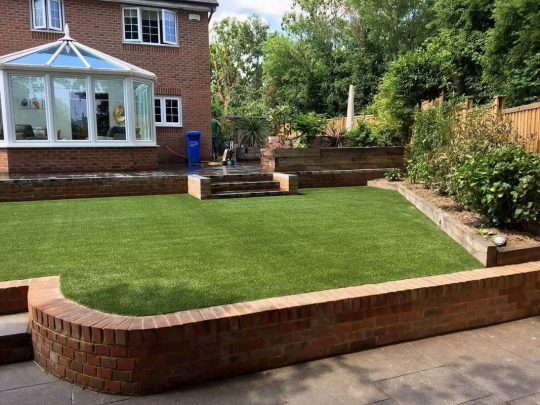 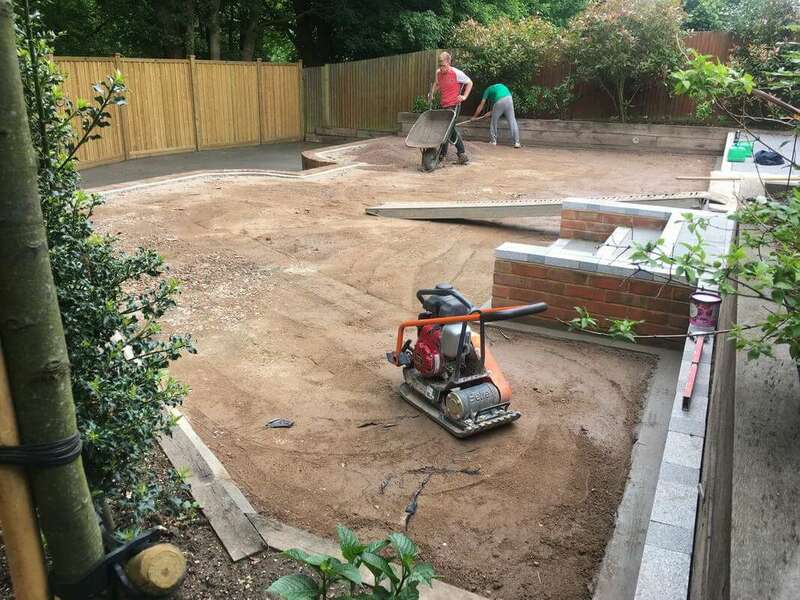 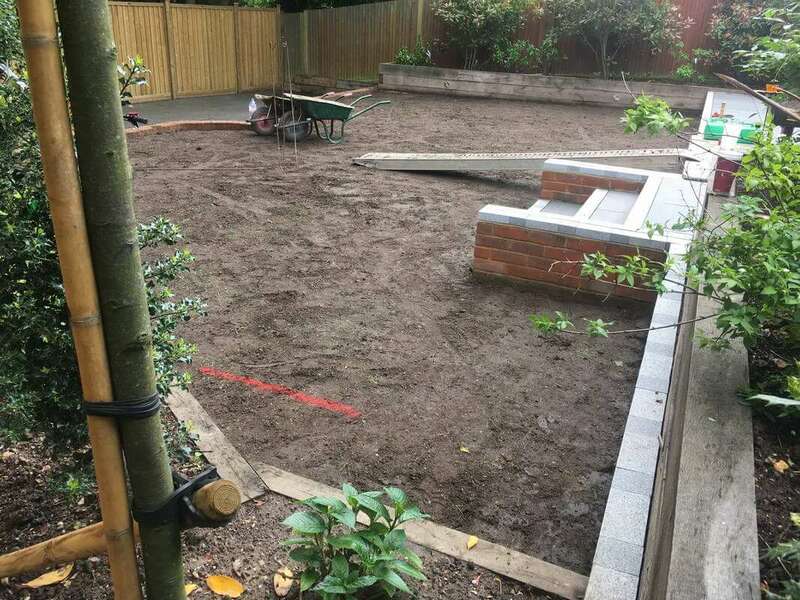 She was so happy, she invited us back to fit two large sections of Namgrass Meadow in her back garden. 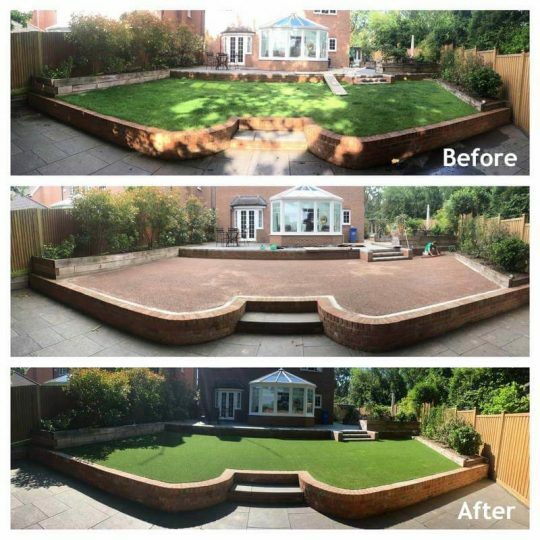 The results are stunning!